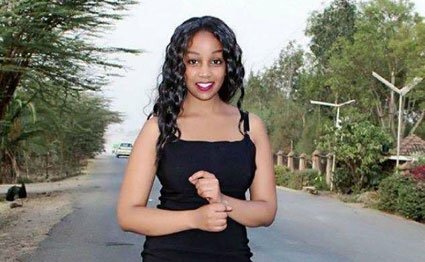 The body of a former Multimedia University student who went missing on December 30, was found at the city mortuary on Monday. Susan Njoki, 24, hailed from from Njoro, Nakuru County. Ms Njoki’s family reported her disappearance at Ongata Rongai police station on January 8. “She called mother, Hellen Ngige, to tell her that she had arrived safely at her Ongata Rongai house,” the relative said. According to the relative, it was uncharacteristic of Ms Njoki to spend many days without talking to family members. “We worked for three days until we broke for the New Year celebrations,” one of Ms Njoki’s work mates told the Nation. The second born in a family of four graduated with a Bachelor of Applied Communication in 2017 before securing a job in Nairobi. Ms Njoki’s two brothers and a cousin began searching for her the day her phone went off. They said they moved from one station to another. Meanwhile, a Mt Kenya University student was found dead in his hostel room at the main campus in Thika on Sunday morning. Students and workers told the Nation that Mr Elias Nduku returned to his room after a rugby practice session on Saturday evening. The body was found by a janitor the following day around 7.30am. It was later taken to General Kago Funeral Home in Thika. MKU Students Union president Kelvin Theuri disputed reports that Mr Nduku had either committed suicide or been murdered. He said the student’s family and room mates had confirmed that he was epileptic. Mr Theuri said Mr Nduku was alone at the time of his death. His room mates had not resumed studies after the Christmas and New Year holidays. “He was a member of the rugby team and had been practising since last week. After the practice on Saturday, he went to his room where he was found dead in the morning,” the student leader told the Nation. Mr Theuri said a post mortem would be conducted on Mr Nduku’s body on Tuesday. Thika OCPD Paul Karobia also doubted the suicide and murder theories. Search for missing graduate ends at city mortuary Reviewed by samrack on January 15, 2019 .